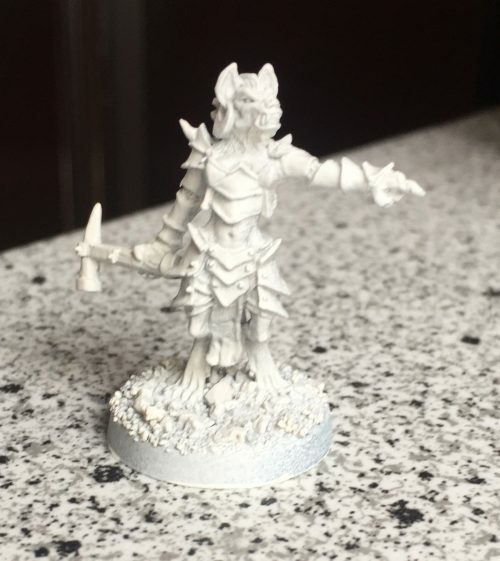 I found this Hasslefree Gnoll Cleric in one of the boxes. Really nice sculpt that required minimal cleanup. I thought I was going to give her brown skin – sort of like a hyena. But the interwebz says that gnolls have greenish grey skin and who am I to mess with the interwebz.